In 1999, Warner Bros. bought the film rights of Harry Potter and the Sorcerer's Stone along with the next three books for 1 million pounds. 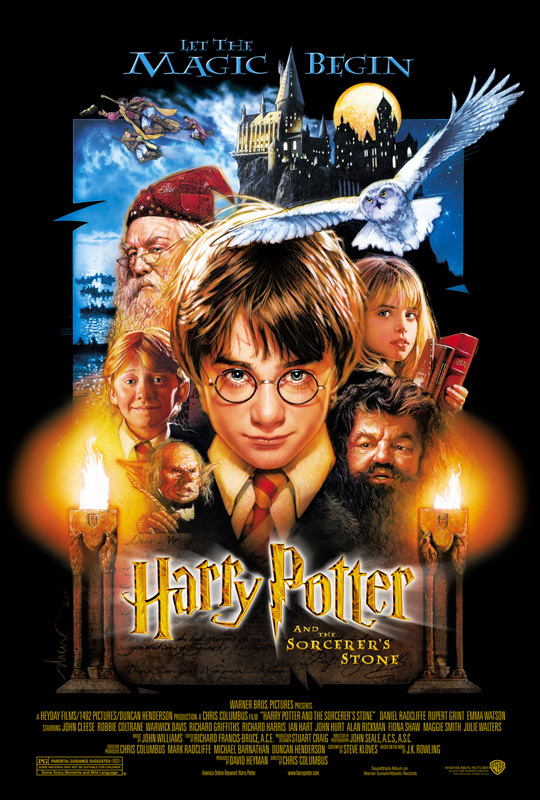 The production of the film took place in the U.K. and J.K. Rowling insist that the entire cast be either British or Irish to keep with the culture of the book. Rowling was hesitant to sell the rights because she didn't want to give the company control over the rest of the story by selling the rights to the characters, which would've allowed Warner Bros. to create non-author-written sequels. J.K. Rowling was smart in her decisions because she kept herself involved throughout the entire film series process, and kept each film as true to the book as possible. Rowling was involved in the casting for Harry, Ron and Hermione, along with the director Chris Columbus. Susie Figgis, the original casting director, eventually resigned from the film because Columbus would not cast any of the thousands of children who had auditioned for Harry. Columbus wanted to cast Daniel Radcliffe before the auditions even began, having seen him in a BBC production. Figgis insisted that they wouldn't be able to cast Radcliffe due to his protective parents. After some convincing from Columbus, Radcliffe's parents agreed to let him play Harry. Rowling approved, saying that she couldn't picture having found a better Harry. Maggie Smith, who plays Professor McGonagall, was a personal choice by Rowling. The screenplay for the film, however, was not written by Rowling but by Steve Kloves. Kloves immediately went out and bought the book and instantly became a fan of the series. He was nervous when he first met Rowling because he did not want her to think that he was going to "destroy her baby". Rowling was ready to hate Kloves, but after their initial meeting, he impressed and won Rowling over by stating that his favorite character was Hermione. Rowling received a large amount of creative control which director Chris Columbus did not mind. The arrangement of Rowling, the book writer, and Kloves, the film writer, to collaborate on the screenplay made the books transition to film that much smoother and stronger.